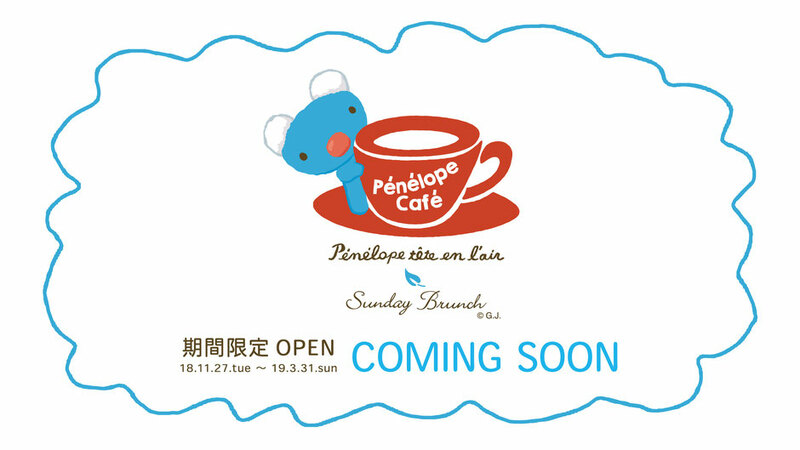 To celebrate the 15th Anniversary Sunday Brunch in Ginza will be holding a limited time Pénélope Café (ペネロペカフェ) from 11/27/18 - 03/31/19. A specially designed menu will be available along with the café appropriately decorated with art from the book. A photospot will also be available so you may take your picture with Pénélopes large stuffed animals.